I went to an estate sale the other day and some tools managed to attach themselves to me somehow. I wjust wanted to browse around but these things jumped up from the well worn workbench in the garage and clung to me. Not being someone to cause a scene I just bought them. So now I got them (drat ;-)) I’d love to put them back in use. 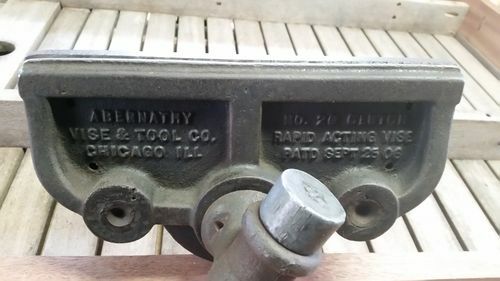 First up is a Abernathy Tool & Vise Co. woodworking vise. This sucker was still attached to the bench when I got it and the only tool I was able to use to get it off was a small needle nosed plier and socket set. It was a battle to say the least. Its a Model 70. I did some research and found out that Abernathy went out of business in 1923. Looking for my model I have only been able to find another similiar model; the 70-D. It looks like its in great shape! Will require minimal work to get back in tip top shape. Next up is a Stanley No. 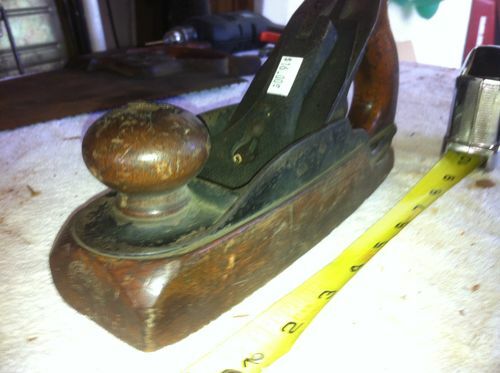 18 Block Plane. It has a small nick on the shoe where the blade penetrates but otherwise looks great. Probably the newest of the three planes I got. 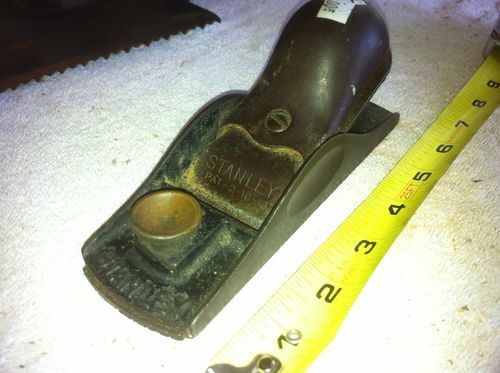 I read that most Stanley model planes was produced in diffrent Types (i.e. Type I or Type III). How do I determine the Type of a particular model? Number next is a Stanley No. 35 Smooth Plane. It could be 80 or 90 years old. While the shoe is nice and flat still someone had hammered four nails into the knob presumably because it became loose. Thats going to be a tough extraction. Last of the planes is a Stanley No. 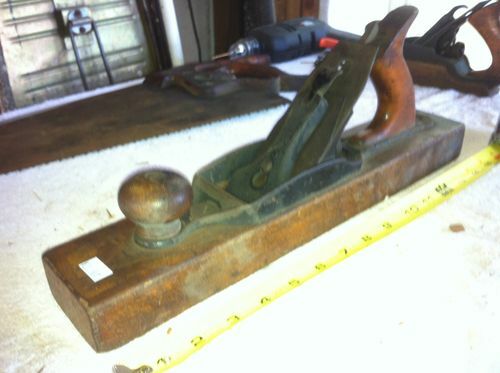 27 Jack Plane. I estimate this to be well over a hundred years old (circa 1869 to 1917). It is in beautifull condition. With the exception of the enamel that is almost all chipped off the body. 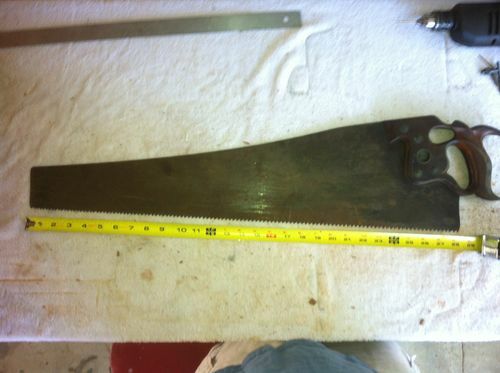 Finally there was a 28” Disston D-8 two handed skew back. This guy was haning of a rusty nail beside the door hidden by some brooms and a mop. Almost didnt see it. Got it for $5. 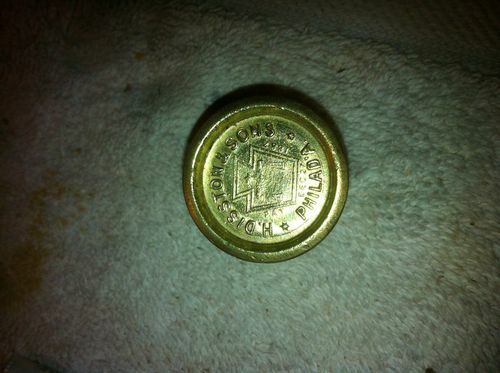 Based on the medallion and info I got off the Disstionian Institute website it was made between 1888 and 1896. It could be 124 years old and not a day younger than 116! I thought that was pretty cool. What was nice is that the Disstonian site states that during this period on this saw the little stars on the medallion was sometimes done with six points instead of the usual five. Made it pretty easy to date. Im a sucker for history so I love this stuff!! Anyway, The blade is in pretty good shape but it has a lot of rust. Besides having over 100 years of grime on it the handle seems to be in great shape. This will be the first one of the lot that gets restored. Any tips or tricks or information or anything will be so welcome. My intent is to get these tools working again. 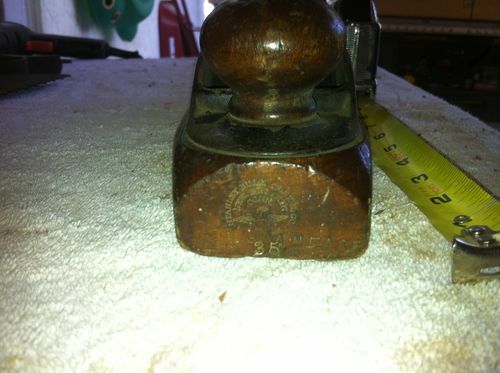 For instance; On the Jack and Smooth planes the Stanley Logo is carved onto the nose of the shoes. Can I sand the rest of the shoe and leave the nose alone? Is there a better way to do it without losing the logo? Wow! Great finds! I am wondering if there is a stripper you can use to remove the finish more gently around the stanley etching? wow, you got some great finds. They look in great shape. I typicaly use a card scraper on transitionals and then sand. I’d leave the logo as you suggested. Don, thanks for that tip and for just posting on this blog. I had a look at your profile, found your restoration blog and have spent the last hour just fascinated! Your work is incredible and your blog is a wealth of info! You answered questions in there I didnt even know I had yet. I have been looking for a thumb holed disston or 2 forever. 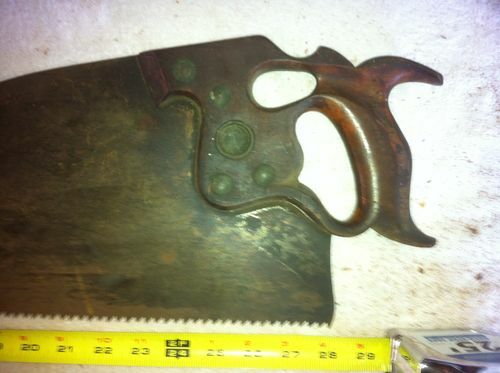 For saw restores look at Andy's stuff. Looks like some gr8 stuff. Tok – Ditto to all the above that you’ve got some wonderful tools! The D8 handle looks terrific, one of the nicest I’ve seen in the wild as they got beat up pretty good in use. Nice transitionals, and the #18 block looks awesome as well. What restore means to you may not match up with what anyone else thinks, but that’s half the fun. You’ve got users that, with a bit of refining, are ready to work another century. Fine grit wet/dry sandpaper will clean up the saw plate for use – lots of information can be had reading Brit’s blogs here on LJs (he is to saws what Don Yoda is to planes). Again, congrats on the finds! I just picked this Abernathy No. 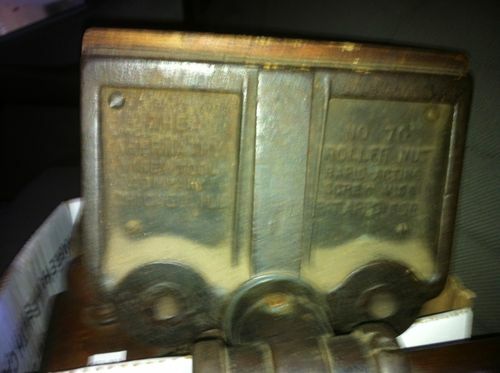 20 Clutch at The Woodworking Shows in Chantilly, Va. from one of the antique tool folks there for $140. The only issue with it is the original cotter pin that held the rods in was replaced by a new pin. The other issue is I suspect the handle is not original . From what I’ve been reading these came with wood handles. This one has a steel handle and I’m fine by that.